2017 was a wonderful year. So many folks who I love dearly got married, and it made my heart sing to be able to be there for and play a part in those moments! 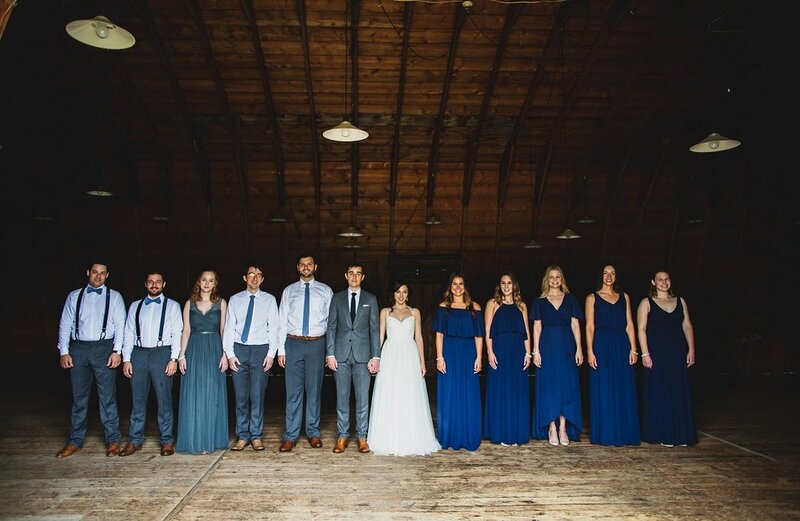 Jennifer and Kyle’s wedding was an especially meaningful one for me to coordinate. Jennifer and I bonded as small business owners several years ago, and she’s had a place in my heart ever since, so when I found out she was getting married to the love of her life, Kyle, I was overjoyed! Jennifer and Kyle’s wedding was full of personal touches. 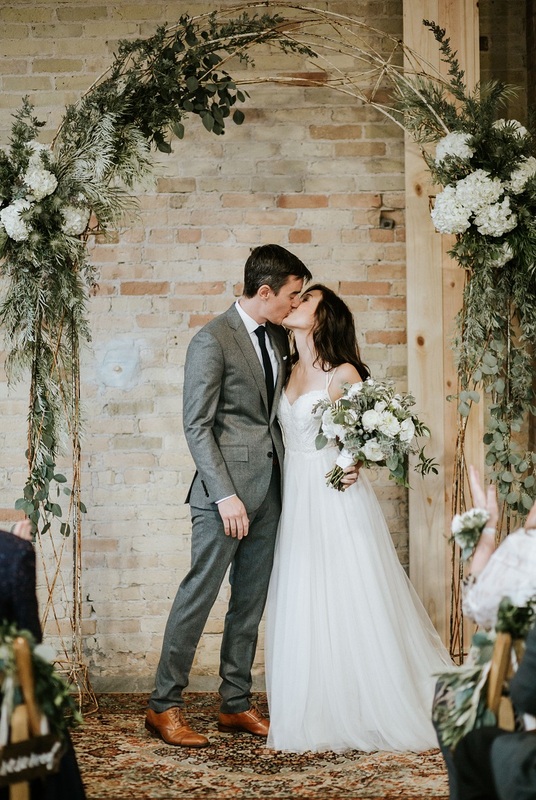 They got married and celebrated their nuptials near where Jennifer grew up in Wisconsin. They hosted the day at Dance Studio 3-D, owned by Jennifer’s beloved dance instructor Debbie Otteson-Griggas. While the day had sentimental tidbits spread throughout, one of the sweetest parts was that Jennifer’s beloved guinea pigs, Aldo, Pasquale and Lucca, made the trip up to celebrate with them. They were present in so many ways... in fact, instead of wedding cake, the couple served guinea-shaped cookies that looked like each of the darling guineas!!! And Jennifer and Kyle's hashtag was #guineagetmarried. Awww. Many partners made this day a success. Photography: Mark Trela Photography, Floral Design: Blumgarten, Catering: Upstairs Downstairs Catering, Hair: Alyssa Herbst, Music: V05 Disco Cover Band, Invitations: Four Hats Press, Sweets: Lush Bites.